Whole fuzzy white cottonseed as used by graziers and oilseed crushers to make cottonseed meal, hulls and oil. 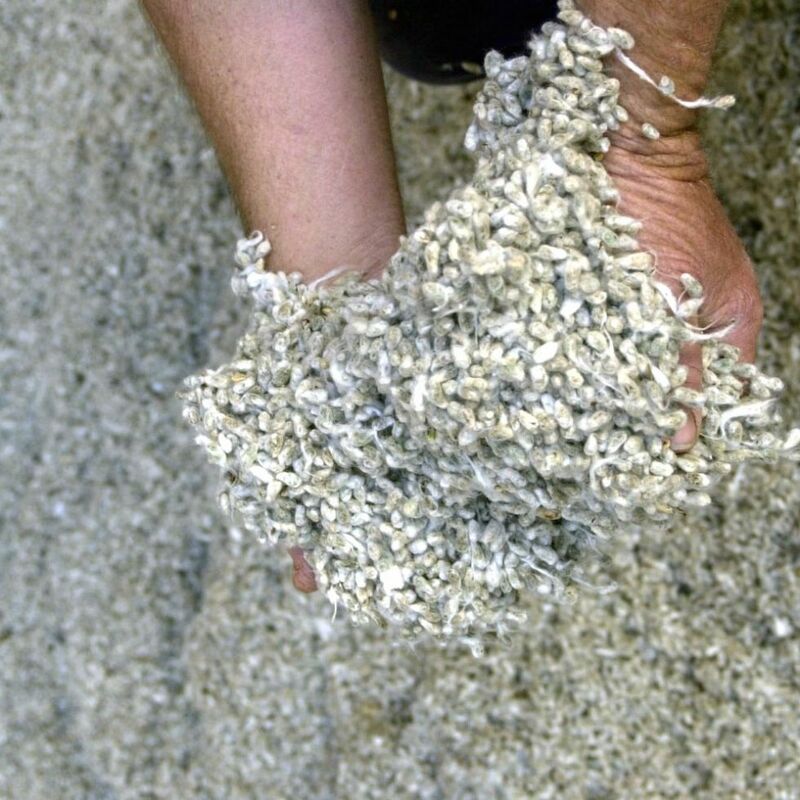 IT IS becoming increasingly likely that high prices will cause the premature shutdown of Australia’s biggest cottonseed crush at Narrabri as the seasonal disaster escalates the price of the crush facility’s commodity input, whole fuzzy white cottonseed. Cargill Australia corporate affairs director, Peter McBride, would not be drawn on industry rumours that the company would not guarantee its buyers supply of meal and hulls beyond October. Cargill responded to Grain Central’s request for news about its Narrabri crush plant today by saying the crush was still operating, and attributed to farmers and ginners holding on to their cottonseed in the face of drought as the reason why it was crushing less seed than it wanted to. As a paddock supplement for cattle, cottonseed is unsurpassed and graziers again this year have taken to it in spades, but additional grazier demand has placed constant pressure on supply, and seems to have soured the economics of crushing seed for oil, meal and hulls. The value of these products may have risen, but with prompt prices at around $675 per tonne ex gin, the seed seems to be more workable to livestock feeders than to crushers. That pitches the spot feed market against those holding long-delivery contracts for meal, hulls and cooking oil. If those were written at fixed prices before the cottonseed market started its meteoric rise in autumn, they have likely been painted with red ink over the back half of the year. The Australian Competition and Consumer Commission was contacted by Grain Central with regard to talk that it was investigating pricing behaviour in agricultural products, but was unable to comment within the allotted time. Participants in the cottonseed trade said cottonseed was still available, though sellers might offer only small parcels for nearby delivery. Sellers this week have offered the odd truck load, 40t approx, free on truck (fot) from southern Queensland sites for August-September pick-up at $675/t. Volume parcels of 1,000t or more were not offered. Every conceivable feedstuff came under scrutiny as drought demand grew. Cotton hulls, the majority by-product of the crushing process, are favoured by some feedlots as a fibre source, and have been virtually unprocurable this month. Trade sources said the situation was unlikely to improve. Dried distiller’s grain, the by-product of ethanol production, sold in a meal form by the Dalby Bio-refinery had been available in diminishing quantity. It had advanced from a price early this year of less than $300/t fot to $500/t last month and $600/t this month, and was now seen at $700/t for next month pickup. Manildra’s equivalent product in southern NSW was all sold out. The most dramatic rise in price was evidenced in by-products of other agricultural industries, such as almond hulls and grape marc sourced from southern NSW. Grape marc, with 40pc moisture, is a by-product of the grape crush which in years of ample feed sells for $10/t or less ex crush site. Almond hulls, unmilled and milled, and their grapey counterparts, fall in and out of favour depending on the supply of other fibre sources, and their value has risen over 2018 almost tenfold in price. Australia’s cotton crop would be ginned from modules to bales progressively up to nine months from April onwards at most sites. Seed became available for delivery from gin sites after the ginner and the grower had made a contract for its valuation, sale and storage. The cottonseed fraction of the cotton crop after ginning was estimated at about 990,000t in NSW and 487,000t in Qld, increases compared with previous year output 22pc and 9pc respectively. (ABARES June 2018). Gins in southern NSW are the last to cease operations, and are expected to be running into December.